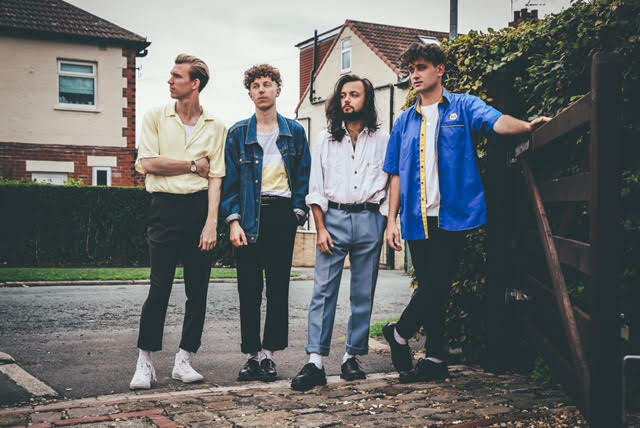 Marsicans release self-made video for new single "Suburbs"
Marsicans have released their self-made video for new single "Suburbs", with the clip being shot entirely on singer James's Newbigging's smartphone - a Google Pixel 2 XL to be precise. It was shot on location in Toronto and upstate New York, while the band was on tour. One of the only other music videos shot with the phone was a recent John Legend production. Speaking about the making of the video, singer James Newbigging explains, "We shot this video ourselves when we were out in Canada and the US earlier this year. The suburban shots are in Ithaca, New York and the city shots are in Toron-to. We were having a great time looking round these beautiful places and we thought we should probably make the most of our adventures out there. For the video itself, we wanted to try and recreate the disconnection between yourself and your surroundings, which the song refers to. We had a very basic outline and just filmed on the fly all week. It was great but we had no idea if what we had shot would actually work. Luckily, our friends at Sodium Films got involved for the edit and managed to pull it together exactly how we imagined it."